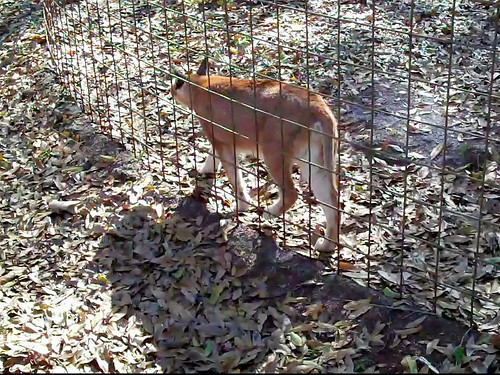 Another resident of Big Cat Rescue in Tampa that we really enjoyed watching was Rose the Caracal. We watched her for a while (and I filmed her with my Flip Mino). She was quite active; while a lot of the cats were napping in the warm sun or camped out near their food bowls waiting for dinner, Rose was pacing back and forth in her enclosure. 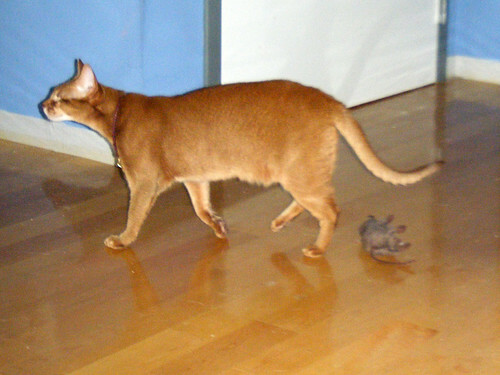 And, once again, we were reminded of one of our kitties back home.